Aggies Do It Better: OPI Incognito in Sausalito with Gold tape accents! 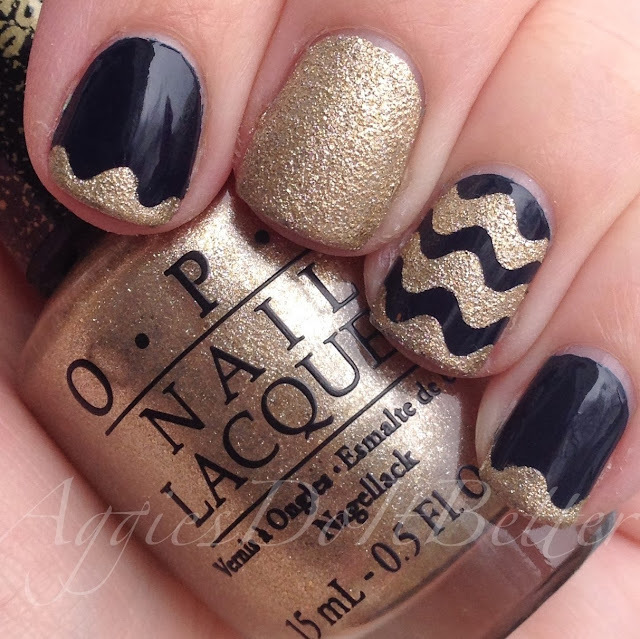 OPI Incognito in Sausalito with Gold tape accents! Hey guys! I chipped my first finger nail AGAIN and had to file them way down (square nail life for me). So I took the opportunity to wear some really dark polish, which is rare for me! I think dark nails look best SHORT so I gave it a go. 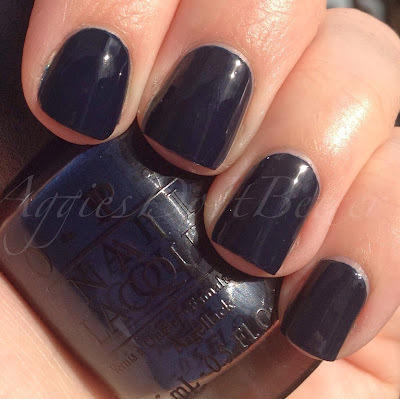 I really love love love this polish, it's super dark blue! I wore this for almost 3 days with NO chippage-amazing! But then I get itching to change it up. Tape is a great way to make your mani last! I used my craft scissors (they had waves on them...or squigglies...not sure what to call them!) to add accents with OPI Honey Rider. Props to Honey Rider for being so opaque and covering that dark blue! No direct sun this day but WOWZA I love the way the clouds refracted the light on these.